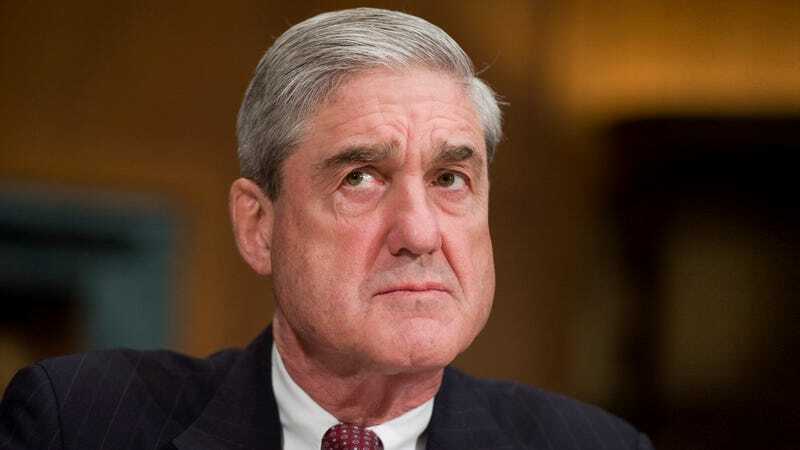 WASHINGTON—Confirming that the special counsel’s probe into potential Russian interference in the 2016 presidential election had made significant progress, sources in the Justice Department revealed to reporters Tuesday that Robert Mueller’s investigation was nearly done with the first day of the Trump campaign. “After two years of thoroughly pursuing all leads and documenting any evidence that suggests a connection between the Trump team and Russia, the Mueller investigation is almost ready to reveal the crimes and misdeeds that occurred within the first 24 hours of his campaign,” said a source who spoke on condition of anonymity, adding that Mueller’s investigation was nearly finished compiling the Trump campaign’s illicit behavior during working hours on June 16, 2015 and could finally move on to indictments for the early evening. “We can also confirm that the special counsel is expediting his efforts to get the investigation of the first day done and recently requested extra staff to deal with the volume of the potential criminal behavior during the 4-4:30 p.m. period alone. At this rate, he should be ready to reveal his findings about the first 96 hours of the Trump campaign by 2020.” Justice Department sources also cautioned people following the investigation not to get too excited about it ending with bombshell arrests, and estimated that it would likely lead to indictments for only 10-12 percent of the U.S. population.